SPT offers precise grooving for recessed pavement markings or high performance paint. This is the perfect complement to pavement marking contractors, allowing you to improve the quantity and quality of your markings without needing grinding equipment or operators. There exists a need for brighter pavement markings on roadways especially under wet road conditions at night. 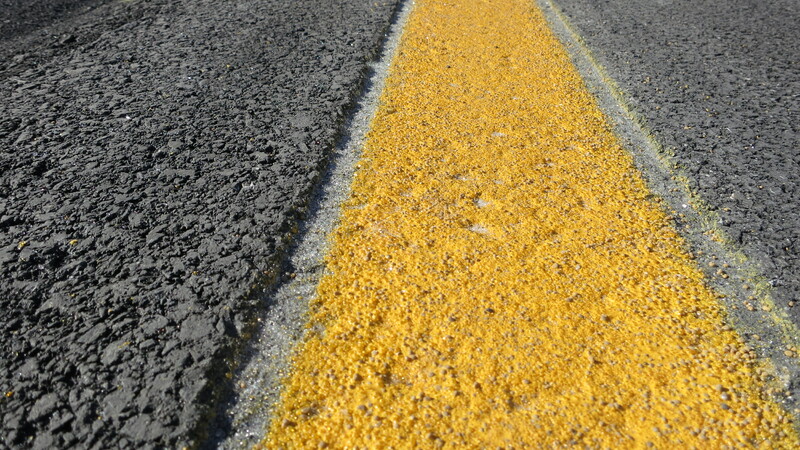 Higher performing durable pavement markings are available but expensive. One solution has included recessing those pavement markings slightly below the surface of a road in order to protect the line from traffic and especially road maintenance equipment such as snowplows. SPT has adapted our computer controlled grinders to follow the changing surfaces of a road. These precise vertical and horizontal controls allow SPT to install various width grooves from 50 – 100 mills or more in depth at speeds up to 4 miles per hour. SPT’s unique clean-up operations for both wet and dry cutting allows SPT to sustain these higher production speeds under a continuously moving operation. As a grinding contractor we do not compete with our customer who specialize in the installation of high performance pavement markings. Our high production grinding services are available to complement their grinding capacity which in turn allows our customers to install greater amounts of pavement markings.